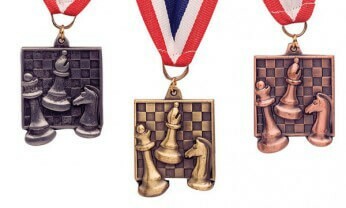 These chess medals are designed with three chess pieces in the foreground and a chess board in the background. 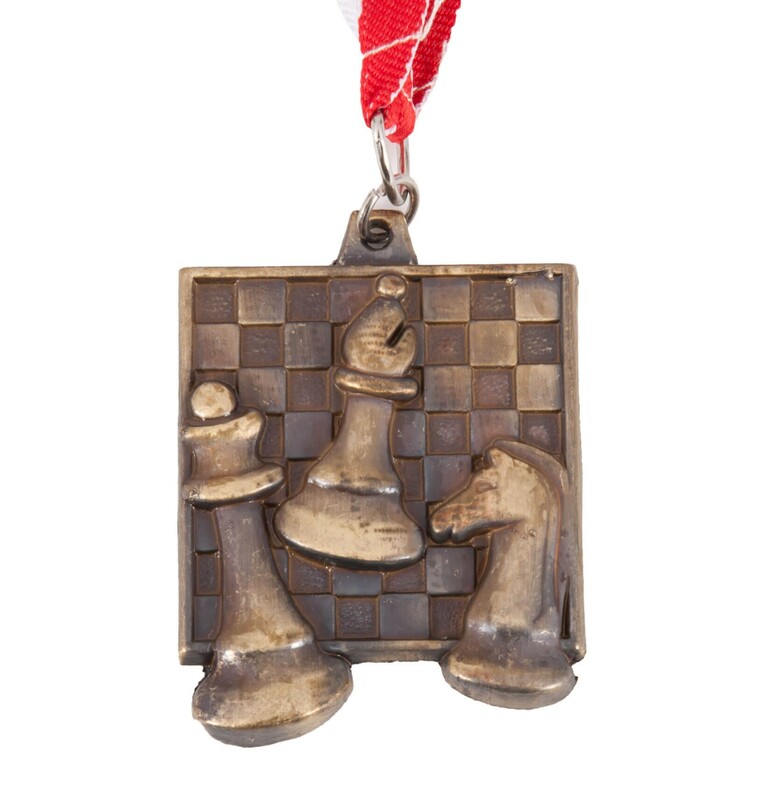 They are heavily weighted, include an free 30-inch Chess-themed sport neck ribbon, and are available in gold, silver, and bronze. 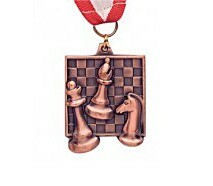 Space is available on the back of the medal for engraving. 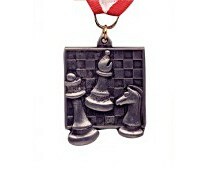 A must for all scholastic chess "winners!